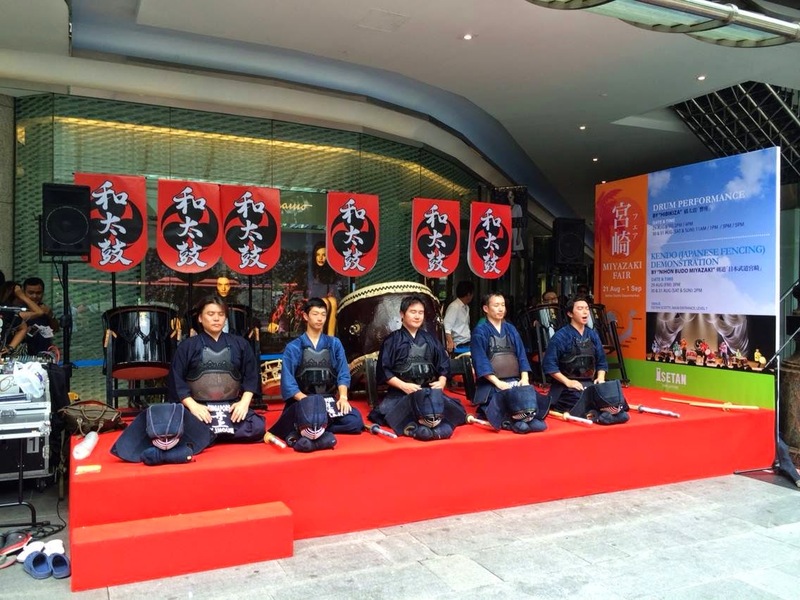 By the invitation of Tada Ryuzo sensei (6th Dan) from Miyazaki, SKC put up a number of Kendo demonstrations at Isetan Scotts in conjunction with the Isetan-Miyazaki Fair which ended 31 Aug 2014. The fair brought many of Miyazaki's famous produces to our Singaporean shores, from chicken namban, black garlic, wagyu beef, to yuzu-flavoured soft-serve ice cream and even high fashion products by Riyoko Aman! 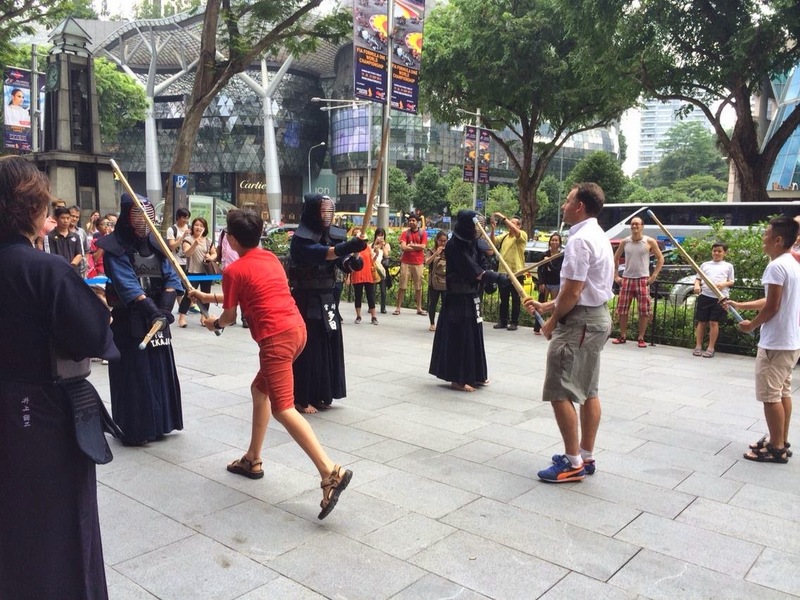 Most of the demonstrations were held around 2-3pm, under the hot sun at the concourse facing Orchard Road, barefeet! Kudos to all the volunteers who helped out in the three demonstrations! Fri: Shohtoku, Narita, Grace and Zafar sensei, with support from Sachi and Mrs Funamori. Sat: Oliver, Kenta, Jiayi, along with Senseis Ishihara and Wada. 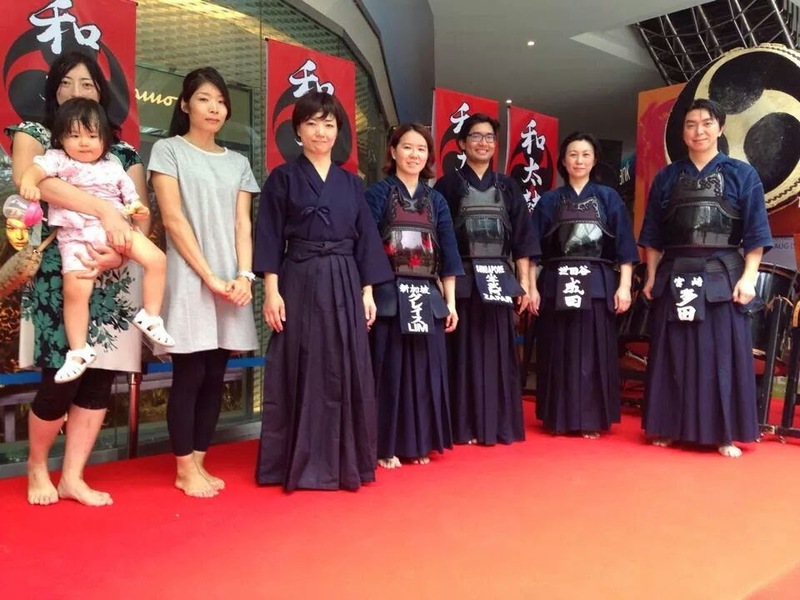 Sun: Messrs. Funamori, Inoue, Kaji and Kan.
For information on Kendo in Singapore, please contact SKC at enquiries@singaporekendo.org.sg. 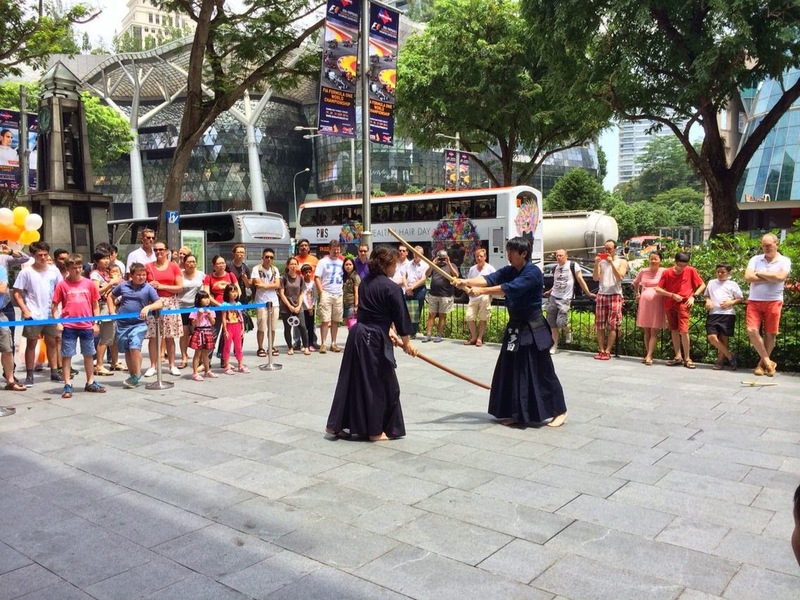 Or visit our webpage at http://www.singaporekendo.org.sg. We conduct 6-month beginner courses twice a year starting in January and July.